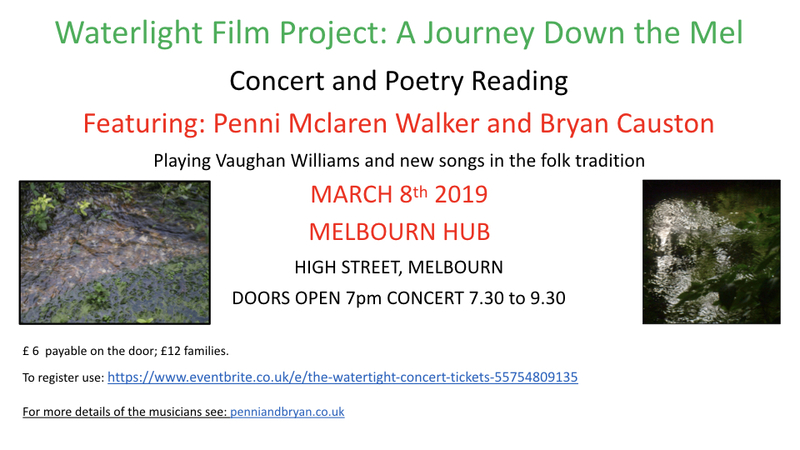 On Friday 8th March 2019, we were joined at the Hub in Melbourn by folk singers and musicians Penni Mclaren Walker and Bryan Causton, and poets and novelists Kate Swindlehurst and Jackie Watts in a special Waterlight concert to celebrate the river Mel in words and music. Penni and Bryan performed a set of English folk songs collected from the local area by composer Ralph Vaughan Williams in the early 20th century. Vaughan Williams came to Meldreth for a summer holiday in 1906 and returned for visits in 1907. He leased a large house called The Warren at the north end of the village, and collected songs from pub singers in Orwell, Bassingbourn, Fowlmere, Little Shelford and Royston. In Meldreth, this was Ginger Clayton, in Fowlmere it was Hoppy Flack; most of the singers were farm workers or in the labouring trades. For more on the local connection with this famous composer, see Clare’s blog post from August 2018, Vaughan Williams in Meldreth. Penni and Bryan also performed their own Waterlight tune, a special composition for the event. 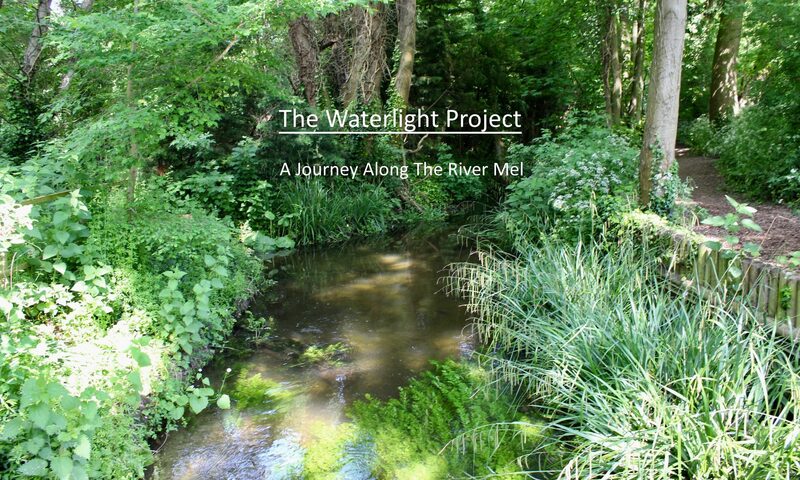 ‘Waterlight tune’, composed & performed by Penni McClaren Walker & Bryan Carston. Filmed by Nigel Kinnings & Christine Lloyd-Fitt. You can read a review of the Waterlight concert by guest blogger Eleanor FitzGerald.